For those who still need an introduction to IESE, how about this – ranked 7th in the world (FT Ranking 2013), and third in Europe after LBS and INSEAD. A program that stresses strongly on innovation and diversity as its differentiation, the IESE program is viewed with awe by applicants and recruiters alike. The prevailing economic situation has somewhat dulled the sheen for European program – through not for IESE, whose strong international networks means that its graduates need to worry little about a job, and not at all about their career. GyanOne caught up with Itziar de Ros, the IESE MBA Admissions Director, for her views on the program, admissions, and financial aid. She discusses the humanistic approach of the program, the use of the case method in pedagogy, international exposure, innovation, and important admissions criteria. Her views help to dispel many myths around the IESE MBA, and some around the MBA in general as well. Thank you, Itziar, for your time! GyanOne: The IESE MBA is quite different in emphasizing the development of its students not only as professionals but also as individuals and responsible leaders. How does the program help students to achieve these objectives? 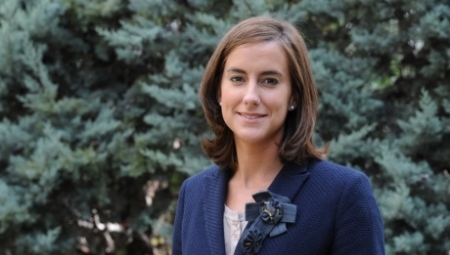 Itziar de Ros, IESE MBA Admissions: IESE’s success is built on a humanistic approach to business and leadership. We believe that the development and well-being of people should be the cornerstone of all management practices. This focus on people –on the personal and professional development of every individual – extends to the way the school carries out all its activities: the MBA program is highly personalized; we believe this is the primary driver of positive change and impact on business and society. GyanOne: The Case Method is the predominant teaching methodology at IESE. While the case method has many advantages, some students feel that having only a case-based approach can sometimes hinder learning that is better facilitated by other methods (e.g. in-class lecture, live projects, and business simulations). How does IESE feel about this? Itziar de Ros, IESE MBA Admissions:Using the case method, students learn new ways to approach business situations around the globe. But IESE’s MBA also includes simulations and other activities that complement this knowledge: a Capstone consulting project, corporate internships, elective courses abroad (New York, Sao Paulo, Shanghai or Nairobi) and exchange programs. GyanOne: International exposure is one of the key differentiators of the IESE MBA. 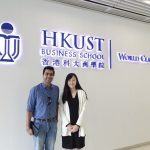 While 80% of the class is made up of international students, overseas modules allow students to gain further exposure to business in international locations. Do these Overseas Modules help students seeking careers in these locations as well or is their purpose informational only? Itziar de Ros, IESE MBA Admissions: The purpose of our Overseas Modules is for students to gain a deep knowledge of different markets. Students can experience real business environment due to IESE’s extensive knowledge of the markets where Overseas Modules take place: US, Brazil, China and Kenya. And of course, our Career Services team together with our student business clubs try to organize career treks or company visits during these modules as well. GyanOne: The IESE Young Talent Program is an interesting and increasingly popular option among applicants who are still in university. IESE helps students find placement with a top firm before they start the program. What is the level of freedom students enjoy in choosing the sector or firm they wish to work with? Does IESE encourage students at this stage to develop generic management skills rather than focus too narrowly on industry-specific skills? Itziar de Ros, IESE MBA Admissions: IESE’s Young Talent Program is a pre-admission program to the full-time MBA that facilitates students the possibility to earn a two-year placement with a global company. Students come from all fields of studies and nationalities. IESE puts students in contact with our partner companies, though doesn’t interfere in the recruiting agreement between candidates and companies. The YTP helps students to develop a career in management. GyanOne: The IESE curriculum encourages impactful ideas. One of these is ‘Getting to Grips with the Digital Dimension’. What are these ideas? How are they developed and promoted? How can they help students within the MBA program? Itziar de Ros, IESE MBA Admissions: These ideas are not intended to provide students with definitive answers as technology is constantly evolving. Our goal is rather to help students draw lessons that will guide their understanding of how technology innovation is changing the competitive landscape across a variety of industries, both challenging incumbents and offering numerous opportunities for newcomers. GyanOne: IESE stresses Leadership as an important evaluation criterion for admissions. Yet, quite a few candidates come from industries where team-based achievement, rather than individual leadership, is more valued. How can these candidates demonstrate the right qualities from their profile for the consideration of the admissions committee? Itziar de Ros, IESE MBA Admissions: Leadership, as IESE understands it, doesn’t mean necessarily being individual. Team working needs leadership too, inspiring, motivating and mobilizing others. Those are the skills valued by the admissions committee. GyanOne: How does IESE look at candidates with extensive work experience (8+ years)? Are these candidates at a disadvantage in the admissions process? Itziar de Ros, IESE MBA Admissions: Not necessarily. It depends more on their career progress, their objectives and their skills. GyanOne: IESE awards up to EUR 6 million in scholarships each year. What are the top criteria that the school looks at to award scholarships? Is a strong GMAT score essential? – Scholarships for Students from Developing Countries: aimed to support outstanding candidates who live and work in a developing country. – Scholarships for Women: in order to increase the number of women leaders in business, these scholarships support women with a track record of outstanding professional accomplishment. – Scholarship for Students with Children: for students with families. – IESE Alumni Association Scholarships: the IESE Alumni Association awards six scholarships for future MBA students who have demonstrated exceptional work experience and personal merit. GyanOne: Although the GMAT is not the only criterion for admissions, it is an important one nevertheless. What are the ranges above which IESE would consider an applicant competitive in terms of GMAT scores? What are some of the factors that IESE feels students can compensate GMAT scores with? Itziar de Ros, IESE MBA Admissions: The GMAT is mandatory for all candidates and scores below 620 tend to raise concerns at the admissions committee. To be considered for admissions with low GMAT students should display exceptional achievements in other areas, eg brilliant university GPA, outstanding professional achievements or success in areas outside of work. GyanOne: In terms of the class profile, IESE sees a relatively lower number of students from technology backgrounds. What can candidates from this background demonstrate to improve their chances of admission at IESE? Itziar de Ros, IESE MBA Admissions: Students with an engineering background are the second largest profile in class (36% of MBAs, after Business Administration and Economics graduates – a 40%). GyanOne: The IESE Admissions process includes the Assessment Day, which is a much more holistic assessment of a candidate than one interview alone. What are the key elements of this Assessment Day? Do candidates need to prepare for it in advance? Itziar de Ros, IESE MBA Admissions: Held throughout the year, MBA Assessment Days bring pre-selected MBA applicants, and our Admissions Team members spend an entire day together with them with the purpose to get to know them better and observe how they communicate and ability to work in teams. No prior preparation is necessary; candidates just need to participate actively. Applicants are allocated into small teams and have to work together on cases. They then have to present to the other participants and take questions from the audience. Besides an excellent opportunity to present themselves better to the admissions team, they also get to understand the school better, the environment and of course along with the chance to network informally among themselves. GyanOne: How can international candidates who cannot travel to IESE for some reason (costs and work commitments being the top reasons) to participate in the Assessment Day compensate? Are they at a disadvantage if they are not able to attend? Itziar de Ros, IESE MBA Admissions: To facilitate the participation of international candidates, IESE now organizes multiple Assessment Days at 3 locations around the globe – Barcelona, New York city and Singapore. Applicants are not penalized for not participating at an Assessment Day, our admissions committee can take a decision based on their application material and the obligatory interview. It is however, highly recommended as it gives them chance to present their candidacy in a more complete way. As a side advantage for participating in the Assessment, candidates get their admissions decisions one week later of the Assessment day. Very good interview. 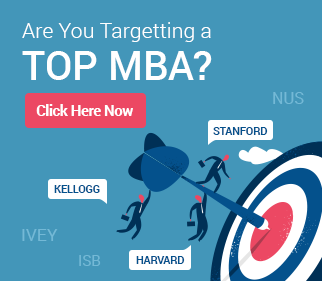 I was trying very heard to research on IESE but this is one of the few articles that provides the information I was looking for and is also relevant for Indian MBA candidates. Good work gyanone! Good interview! Information on IESE is often hard to come by but you have some very decent points here. Helps to know. Unfortunately European schools still dont put out as much information about themselves as American MBA programs do, so finding this is great. IESE vs IE was a difficult decision for me but this article helped clear a lot of that up! Thanks!